The Presbyterian is a refreshing way to enjoy your whiskey in a casual highball drink. It is a classic cocktail that has just three common ingredients, so it is very easy to mix up. The Presbyterian is nice because the ginger ale adds a touch of sweetness and hint of ginger. The club soda's clarity keeps both of those aspects in check while adding to the sparkle. It really is the best of both worlds! All of these are great ways to enjoy your whiskey in a tall, cool, and refreshing drink that can be mixed up in minutes. They're perfect for a summer day on the patio, a cookout or anytime you simply want an easy whiskey drink. Pour a shot of whiskey into a highball glass filled with ice. Fill with equal parts club soda and ginger ale. 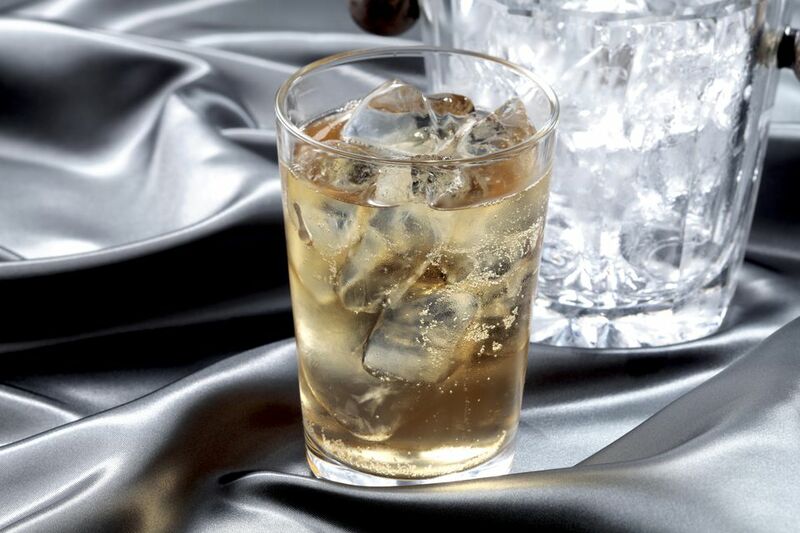 This mixed drink is very similar to other popular whiskey highballs, including the Highball, which simply uses ginger ale. If we were to top Scotch with ginger ale alone and add a touch of lime, we have a Mamie Taylor. If bourbon is your whiskey of choice and you use lemon, syrup and club soda, you would have the tasty John Collins. One thing is for sure when it comes to the Presbyterian: whiskey is necessary. Whether that whiskey is a Scotch, bourbon, rye, or any other whiskey is a matter of personal taste. Bourbon has become the new favorite whiskey of choice and is a good place to begin. You might try a robust bourbon like Knob Creek or Wild Turkey 101 so the whiskey doesn't get lost in the soda. If you are a fan of Scotch, pouring that style of whisky into a Presbyterian is a more traditional way to serve the drink. This also tends to explain the drink's name because the Presbyterian Church was founded in Scotland. For Scotch, stick with a good blended whisky like Johnnie Walker Red or Dewar's White Label. Neither will break your budget and both are great in a Presbyterian. You will need two sodas to make a Presbyterian cocktail. The club soda and ginger ale mentioned in the recipe are the most common. Some recipes will use 7-Up or another lemon-lime soda rather than ginger ale, but most drinkers will agree that ginger ale is best. Unless you decide to make your Presbyterian with a high-end Scotch, there's really no reason to go overboard on the sodas. If you do upgrade the whisky, I would recommend choosing a boutique soda from Fever-Tree or Q Drinks. Both make excellent cocktail-worthy sodas. In the majority of cases, you can get away with the more common sodas. Canada Dry is a personal favorite for an everyday ginger ale and Schweppes and Seagram's make a great club soda. Be sure to buy smaller bottles of soda if you are making just one or two drinks so the soda is as fresh as can be. Open those bottles slowly! They really like to fizz up. While it is common that the two sodas are poured equally, some drinkers find that they prefer a little more ginger ale than soda or vice versa. Be sure to adjust the drink to your taste and the whiskey you choose. After all, it is your drink! How Strong Is the Presbyterian Cocktail? To estimate the strength of the Presbyterian, we need to make a few assumptions. Let's assume we use an 80-proof whiskey and end up pouring about 5 ounces of soda in total. In this case, the drink would be a mild 9 percent ABV (18 proof). Of course, that is going to vary based on your choices.